Have you ever pondered about sharing data and URL through QR codes? I have been a big fan of this concept for years. My friend, Mohammed Arif Ali Khan and I used QR codes in the ‘Thank You’ slide of power point presentations in 2015. We found it to be the easiest method to share contact information; it proved to be an effective tool for sharing a blend of paper and digital contents. QR codes today, have found uses in most unexpected places and can act as paper POS for wallet payments provided by apps such as BHIM and PayTM. We will continue to see interesting use cases of this cool technology in future. Little did I realize that my experience with QR codes would help in making a huge impact in professional life! 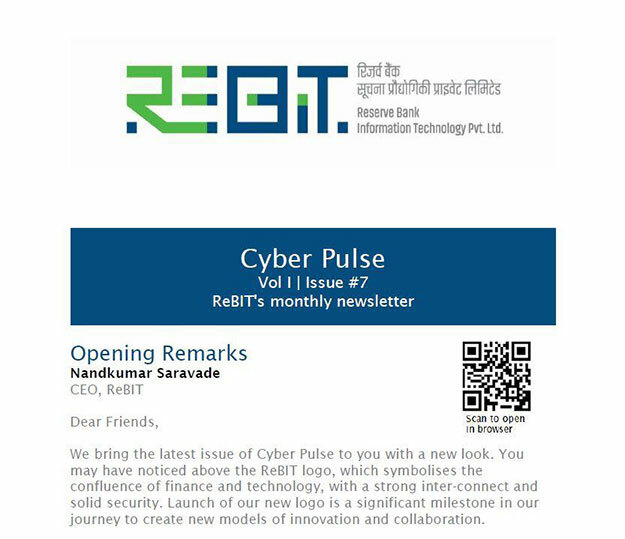 During the year 2017, our team in ReBIT realized that sharing business cards at conferences and onsite locations were not helpful as we are a relatively young organization and hence our counterparts in other organisations had difficulties in retrieving our contact details from their mobile phone or from the stack of business cards piled on their desks. We adopted a unique method of printing business cards with QR codes to store the information mentioned in business card. The static QR codes which was shared in vcard format helped in storing the details of the person mentioned on the business card in an accurate manner in the address book of the recipient’s mobile through the scan of the QR code. Business professionals are known to manually scan the contact details in their phone or from their visiting card stack or use third party applications to identify the details of a particular contact. Moreover, scanners in third party applications are not successful in copying data ‘as is,’ and there are errors in copying certain details. Printing QR codes in vcard format on business cards eliminates these limitations. 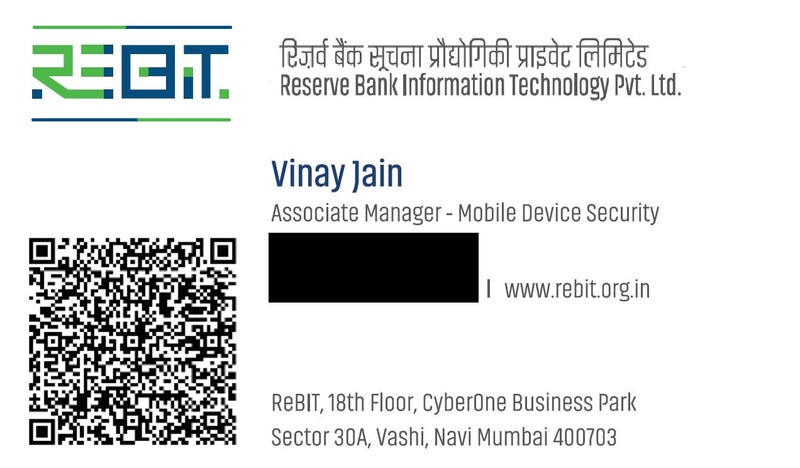 We have been able to successfully use QR codes for employee identity cards as well. Using QR codes for this purpose saves the need to distribute visiting cards (and also makes it eco friendly!). We found another interesting use case of QR codes where we were able to embed the links of the digital version of our newsletter ‘Cyber Pulse’ in the paper version through dynamic QR scans, so that the reader can access the entire story online (whose URL is hyperlinked in the blurb) by scanning the QR. Shortening the URLs benefits the reader as it improves the scannability. 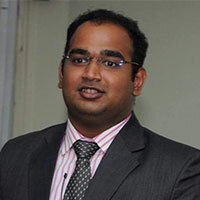 Besides, quicker analytics help in evaluating the reader’s interest on the articles and the edition. The idea of circulating the physical version of our CyberPulse for a major business conference seemed too good to be true for two reasons. CyberPulse was not a print friendly version and we had less than 24 hours to turn this around. Embedding QR codes in the print version helped us reach out to the community at large and increase our subscriber base. QR is a way for the physical world to interact with digital.I am sure we will get to see many delightful and interesting usages of this technology in the near future.